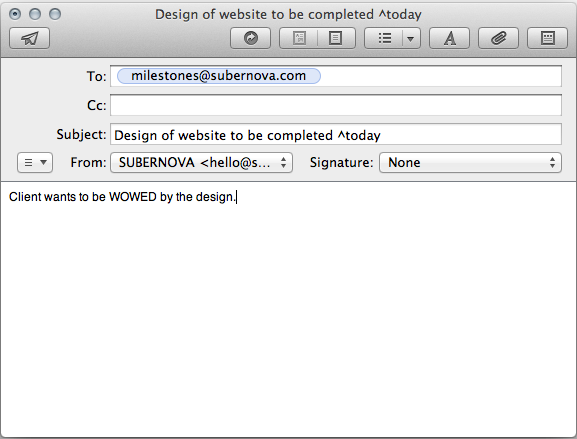 You’ll need to send the email via the email account you used for your SUBERNOVA account. This is such that we can identify the right account to add the milestone or task to. 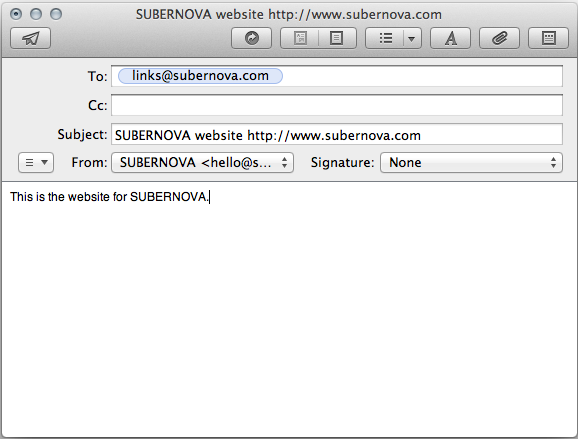 Again, send the email via the email account you use for your SUBERNOVA account. Link in body: You can also include the [URL] in the body instead of in the subject, and use the subject line just for the [Link name]. This is particularly good for emailing links when using iPhone’s Mobile Safari.